This topic contains 129 replies, has 73 voices, and was last updated by tickledpink 4 years ago. And a really warm welcome to the Fast Diet website. This first week of January is, of course, prime time for embarking on a get-fit-lose-fat programme – and lots of people (across the world) are about to fast for the first time. So what do you need to know? You’ll have gathered the basics from the book – but my year of intermittent fasting has taught me a few more subtle things that might help anyone trying the plan for the first time. First, be kind to yourself. For me, the main psychological advantage of the Fast Diet – and the key that differentiates it from conventional diet plans – is that it is never about admonishment. It shouldn’t feel like an unending slog, or a continual nagging in the gut that says you should be eating less, doing more. It will work best if you allow yourself to be human, slip up, make mistakes – always knowing that tomorrow is another day. 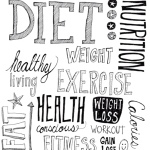 Flexibility is built in: choose your Fast Days, adapt the diet to suit your diary, stop if it doesn’t feel right, start again when it does – thinking of it as a broad, on-going lifestyle change, not a daily drudge. Second, do (however) stick to your targets and exercise willpower. On the days which you have designated as Fast Days, do try to be a bit tougher on yourself. Hunger is a canny beast, and you will certainly encounter it if you’re only eating a quarter of your usual calorie intake on any given day. So, use your mind to master your appetite. Keep busy. Stay engaged. Share your day with a Fast Buddy (or this forum). Try hard to stick to the calorie quota, but don’t dwell on it too much. Demote eating on those particular days and find something else to occupy your mind. Third, know that fasting (like anything at all) gets easier as it becomes a habit. Week four will be easier than week one. Week six will almost certainly be easier still, particularly if you’re seeing a shift on the scales. Plenty of people report that they come to enjoy their Fast Days. OK, so that may sound like baloney if you’re only just setting off on this journey, but there’s something galvanising and strengthening about understanding your appetite, embracing the odd period of hunger, eating well, with thought and application rather than simply shovelling in whatever comes to hand. OK – I suppose this is it. I am starting this coming monday and I actually look forward to it. I must admit – I am sceptical. It almost sound too good to be true. But then again – if it is true it is truly magical. I am very excited to find out. I saw the program on Norwegian TV this evening (we tend to be a little late here…) and I believe many Norwegians will join in in the coming days and weeks. OK – here are the vitals: I am 58 years old. I weigh in at around 105 kgs. I am 186 which puts me at a BMI of around 29,99 or something (OK – 30 …) My goal is to drop weight and thus get healthier. It would be wonderful to get below 100 and stay there – but my long term goal is a permanent 90. I´ll keep you updated. One of the reasons I actually believe in this is that I have seen another program which involved the Italian (don´t remember his name now.) In that, he spoke of the benefits of (long term) fasting on the treatment of cancer. Very interesting, and convincing. OK – I´ll stop raving. I have one question, though: My first day of fasting will be coming Monday. I will probably fast on either Wed or Thu as well. Question is: Can I shift the fasting days within the week? Sometimes social events make one day difficult whereas other days are easier. I understand that practicality deems regular days, but is there other reasons to stick to the same days? We live in Hobart and visited Norway in October 2010 (Oslo then train to Bergen for a week) and loved it (in spite of heavy rain every day in Bergen). We do go to Denmark every 2 years to visit relatives. This really does work, I started in late January 2013, had an initial big weight loss, then settled down to lose slowly and steadily. The other health benefits are as important as the weight loss. In 11 months, 19.6kg (from 90.8 to 71.2), cholesterol from 7.2 to 5.4, tryglicerides from 3.2 to 0.6, BMI from 34.18 to 26.87!! 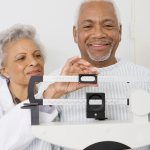 I’m 63 and over the last 40 years have tried every diet known – none lasted). My new doctor is very pleased. Your question about changing days – there is no problem with that. The whole point of this lifestyle is flexibility – so if you decide on Mondays and Wednesdays but then have something scheduled for a fast day, just change the day, it will make no difference. Having gained so much weight over Xmas I am determined to make this work. Just doing my first day. So far so good! I have just started as well. Had one fast day and looking forward to another tomorrow. I have already lost 3 stone (over a year and a half)by following Slimming World eating plan and although I have been almost managing to maintain the loss about half a stone has crept back on. I am hoping that using the fast diet will help me get back to my target and maintain that weight. I am doing this mainly for the health benefits but hopefully manage to lose weight too. So I have read the book from cover to cover and I have seen the proof, my sister in law looks great after 12 months of the 5:2. Tomorrow is the day. My first day back at work in 2014. I have bought a diary to log my days and journal my progress, I have been weighed and will be measured today. I am looking forward to my first fasting day after all the excesses of Christmas and the new year!! I am hopping that not only will I lose weight I will reduce some of my pain. Hello! I am so excited to begin this tomorrow. I am 45, 5’9″ and weigh 194.5 pounds. I am from the States and watched the BBC Horizon program on Vimeo. I was inspired. My husband and I are both teachers with a 4 year old boy and 11 year old girl. We are both motivated to start tomorrow and each have 30 to 40 pounds to lose. I think lunchtime will be tough as I have to go to the dining hall with my fifth graders and colleagues. Not sure what I will do….maybe grading? Anyway, I look forward to this lifestyle journey and also getting to know all of you! Hi there, I am looking to start next week. I have spent the last week re-training myself from continual eating (yes I mean it) to eating only at meal times. I am proud to say I am doing well and have lost 2lb. I am a seriel dieter – I have tried lighterlife – lost three stone put on four. Did Tony Fergusen – lost four and a half stone but I have put on two and a half. I have to get a grip and be kind to myself. My brother looks AMAZING on this plan as my brother-in-law. So next Monday will be my first fast day. In the meanwhile I will stick to meal times, drink water (trying to work up to 2 litres a day) and start moving a bit more. Hi there, I started this week and so far so good, fasted Mon and Wed and made veg soup to get me through. Skipped breakfast, had some blueberries at 12, 2 weetabix at 1 and a soup for tea. Wasn’t as bad as I thought! Wed followed the same pattern and even got to the gym for circuits. Looking forward to weighing in next week and seeing the results (fingers crossed!). I am desperate to lose weight, I hit 40 late last year and the pounds come on quicker and are getting harder to shift, but after reading the book and others success stories I’m confident this will work. I am aiming for a stone by Easter, then who knows… Good luck to everyone else starting this new lifestyle! Hi – I’m just at the end of my first fast day, so thought I would get involved with the forum for support and tips. I am quite surprised by how much I have eaten. First time I have properly weighed out my food, and 100g of spinach is surprisingly satisfying! I usually drink lots of water through the day, so this has been ok. I have substituted all but my morning cuppa with green tea, which isn’t as bad as I expected. I’m 33, 11stone, but would like to be 10, as this is where I feel healthiest. I am also interested to find out about the health benefits. I have suffered with Nephritic syndrome and lots of complications due to taking steroids to treat it. This included high BP and cholesterol which I never had before. I am pretty fit, and take part in classes or gym at least 3 times a week. Will be interesting to see how I feel tomorrow, and whether I wake up feeling ravenous or not! Started the 5:2 today using the Fast Diet Book. As it is cold decided to opt for Day 6 for males as I want a cooked breakfast. Am worried about portions and measurements though and whether what I am doing is okay. For breakfast the book says 2 lean grilled rashers of bacon at 50g, 1 small portobello mushroom at 20g and 1 small sausage at 20g. I have cooked 2 grilled rashers at 53g (Sainsburys Be Good To Yourself range), had to cut a large portobello down to 20g and had 1 and a half cocktail sized sausage which weighed 20g – am worried about the bacon now. Good luck to everyone else embarking on the 5:2. @trnw2 ….first of all – DON’T OBSESS!! The whole point of 5:2 is that there are NO strict rules. So the book says ‘portobello mushroom’ – you could substitute a smaller different variety of mushroom or just eaten the whole thing. 20g of portobello mushroom is 5 calories so even if you had eaten a 60g mushroom it would only have added an extra 10 calories which is neither here nor there. You do NOT need to follow ‘day 1’, ‘day 2’ etc. that’s only there as a guide. If you obsess or try to follow to the letter it will become a chore and you will not keep going. It’s about eating WHAT you want up to a 600 (for males) calorie limit on fast days and up to your TDEE – you can calculate that using the link in the right hand column of this page ‘helpful site links’ – on the other days. You do NOT have to eat exactly what the book says, on the day it says – it’s only to give you an idea for meals. To help you with calories you might want to use http://www.myfitnesspal.com or http://www.loseit.com for a few weeks – you can record your foods and the calorie value will be calculated for you. A good way to use it to begin with is to enter what you would LIKE to eat for a meal and the quantities and see what the calorie total is you can then add or subtract food/quantities to suit. This will give you a good idea of portion sizes for both fast and non fast days. The main thing is – you do what works for you!! 5:2 is not a ‘quick fix diet’ it’s a complete change to your Way Of Eating which is sutainable indefinitely. If you read through the forums, FAQ link at the top of the page and Mimi’s post at the top of this thread you’ll find loads of help and tips to get you on your way. I’m from the states, North Central Florida, very beautiful, quite different than Central and South, ha…know this isn’t a travel blog, but I enjoy hearing where everyone is from. I had a fantastic trip to Norway last May, Oslo to Bergen (3 days sunny and high 60’s if you can believe it) flew to Trondheim, some of the roads were closed, it was fun to fly…then to Roros (family farm, still there from 1663, incredible, met relatives). Would go back in a heartbeat and have started learning Norsk. So I am starting tomorrow and can’t wait, I have tried many diets, all have helped, but none have lasted. I don’t mind doing the same thing each fast day, especially since I have 5 days of eating other things. Mainly I hate thinking about calories, so I have a plan for fast days that is easy, will try it out. started today and finding the evening hunger quite bad, also think i have gnome over my calorie allowance but i’m not gonna beat myself up about it, just plan to do better next time, am very afraid that this hunger ill bring on a migraine, that will be hell. Well Day 1 nearly done and I have found it quite manageable. In fact I have a few extra calories which I don’t suppose I have to use (that’s a first). I enjoyed making fresh food and eating it. I do have a headache – but I got that first thing this morning so I am quite sure that has nothing to do with this way of life – just bad timing. Anyway off for a cup of tea. @emma Wow! I hope you are inspired too! I am not sure anything can be more inspiring than donating your husband a kidney, but I know you will find many supportive and yes, inspiring people here! Today was my second Monday fast and it went really well. I did a 4:3 fast last week and lost 3.3 pounds. I wasn’t going to do more than 5:2 but I felt so great, I decided to do my third fast Saturday. Today my husband and I did yoga for and hour and fifteen minutes after school. We are both teachers. He also is doing a 5:2 fast. I find I am not as hungry as usual. I also must admit I am also eliminating meat from my diet. This week I haven’t had dairy yet either. I am thinking this will not be a permanent thing as I cannot imagine for one second eating pasta without Parmesan or Pecorino Romano! I LOVE cheese! I just watched Forks Over Knives and am having a hard time eating any meat and dairy for the moment. Anyway, I am 3.3 pounds closer to my 40 pound goal! Yay! Where are you from? I am from Baltimore, Maryland in the US. Have a beautiful week! First fast day done for my wife and I. Both excited for this new venture. The No snacking between meals was hard today, also looking forward to the regular day tomorrow. Started 5:2 this week and currently in first fast day. I’m doing ths for a second time as last time I over ate on my nn fast days thinking I could eat anything. The result was weight gain. So even on my non fast days I’m gong to enter everything I eat onto my fitness pal calorie counter so. Don’t go over the 2000 calories . I’m 43 years old and hail from KwaZulu-Natal, South Africa. I’ve carried an extra 14kg since the birth of my 14-year-old (!) and am so desperate to lose weight. I have high BP, so hoping 5:2 will improve that too. I’m only able to get the book in afew weeks time, so reading info and getting tips from this site for menu ideas on Fast days. I’m feeling abit lost as I’ve tried so many eating plans in the past and I always give up… Hoping to get the inspiration I need from all of you. Hello and welcome Juliet (and everyone – so many new people, how fantastic!!)! 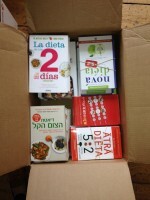 The great thing about this diet is you don’t need to wait for the book to arrive! Start tomorrow! Plan out 500 calories of food (I recommend sticking to vegetables, lean protein and a bit of dairy – nothing starchy or carbohydrate rich, but everyone has something different which works for them), and how you want to divide it, and do it! Then when the book arrives you can read it and get extra information, ideas and motivation having already started! When I started I had an egg and some veges for breakfast as late as I could, and then an early dinner. Now I make 500cal of food in the morning and put it in the fridge to eat when I like. Sometimes I don’t eat any of it, sometimes I eat some, sometimes I eat it all. It is amazing what a giant saucepan of soup or wok of food can be made with yummy vegetables and chicken breast / lean pork fillet!! I think lots of people are really conscious of drinking plenty too, to stave off hunger pangs – I drink one or two cups of black coffee and lots of water and herbal tea. I didn’t weigh myself for the first month so I didn’t get upset about fluctuations. It put my mind into a long term mindset for the first time ever, and seeing as it was so simple to follow, when I lost weight, I knew I just had to continue what I had been doing. Previously I would have 1-3 ‘good’ days then a few bad days, then good days then bad days etc etc so even if I lost weight I didn’t have the belief that I could keep on doing so because it had been such a rollercoaster. Good luck, I look forward to hearing of your progress! And yes, you can do it, because it is only two days a week, and you will find out that the hunger comes and goes, some days are easy, some days are a bit of a challenge, but tomorrow is always not far away. So nice to see all the new names – good luck to you all. wrighty – just google whatever the veg (or any other food that doesn’t come with a nutritional breakdown on the packaging) is + ‘calories’, most on-line calculators will break it down to X number of calories per 100g but occasionally you’ll have X number per ‘portion’, so just watch out for that, as you’ll need to dig a bit to figure out what they mean by ‘portion’. tiaramy – ‘Hunger’ is a mirage most of the time and you’ll get used to seeing it off with a glass of water after a while. In the meantime, try to go as long as you can on a fastday without eating, so you can save your calories for as late in the day as you can – that will help you get through the evenings as hunger gets worse as soon as you have already actually eaten something (this is why some folk on here don’t eat at all on fast days). leftback- Wow! what an amazing gift to give your husband. I hope this helps you achieve your health goals. Alirup123 – Great that you’re having another go and I think you’re right to keep an eye on your non-fastday intake but don’t get hung up on it, rough counts are fine. The main thing is to use the TDEE calculator in the ‘how’ section above. Stay between the BMR number and the TDEE number on non-fastdays and you shouldn’t go too far wrong. Ahhh. finished my second fast, a little hungry, but nothing I can’t management until tomorrow. “I can do anything for one day” gets me through, that and being so busy at work that it’s afternoon before I even have time eat. It’s nice to read this blog, best wishes to all the other newbies…we can do this thing! Big Pete from Australia here (south-western Victoria, if anyone wants to know). My doctor recommended this diet, and I’ve been on it for a fortnight now. I’ve been having problems with other family members forgetting I’m on a fast day, and bringing home no-no’s: a big parcel of chips (it was a very hot day, and we needed the salt), or doing other foods I “couldn’t” partake of (Vietnamese spring rolls with chicken) – usually at dinner time. So I wound up deciding to have the “fast” dinner meal the next day. Not sure this would work, but I’ve only done this twice, and intend not to do it again. It’s hard to tell what I’ve lost, as my scale only goes up to 18 stone before it goes around to zero again – yep, I’m that heavy. I think if I read the scale right I may have lost maybe two pounds. Does that sound about right? Day 1, 89kg, BMI 28, 45yr old male. I was 96kg 8 years ago and got down to 76kg (zero fat diet) but have steadily put back on despite lots of exercise. I eat healthily, I just eat too much and drink too much beer. I don’t think it will make much difference to your weight loss if you do zero calories on a fastday vs your 500/600 allowance. Basically it just means that you’re eating 1000 – 1200 calories less than you would do in that week, so it equates to maybe a third of a lb weight wise. If that’s worth it to you and you think not eating at all might be a comfortable way to do it then try it out and see. Big Pete – I’m sorry to hear you’re having trouble getting support from family members. I just want to say that it will get easier the longer you stick with this way of life. You will get to the point where you can have someone offering you chips or cupcakes or whatever floats your boat and just say “Not today thank you!” You CAN say “No!” to anything for just one day and that is all you are doing at the end of the day. One day at a time with plenty of ‘normal’ days in between, where you can have chips if you still feel like you want them and can fit them into a ‘normal’ day’s eating. Hi its my first day too and its really not been that hard. I do wonder how I will loose weight though as won’t the good I have done today be undone by eating for the next 3 days? agghh I really want this to work. heidihutch, I am in Baltimore, Md too! whereabouts? I also would not want to live without cheese….or carbs. I love that I can have them on my eating days. SarahL, if you stick to your TDEE on eating days, you will not undo the good of your fast days. It really does work. Be patient and don’t expect too quick results. The weight and the inches will come off. I am new to the 5:2 diet but saw the bbc program when aired in Australia last year or 2012. It seemed very appealing. I have just finished reading the ‘fast diet’ three times and experienced my first one day fast. I couldn’t believe how easy I found it. I am mildly over weight with a BMI of 25.5 I’ve just turned 60 and have high cholesterol and osteoporosis. It’s hot in Melbourne right now, so summer salads and berries are plentiful. I’d like to drop 6-10 kgs so we’ll see how it goes. I find fasting all day very easy. Is it okay to fast from 2pm to 2 pm? Or is this cheating? I am from just across the border in SA (South Australia for our overseas friends). My first fast day is tomorrow so wish me luck. Like everyone else, I have plenty of weight to lose. My goal is to lose ten kgs at a time. I have lost 10 since November with a bit of a paleo approach and I think i will combine this with the 5:2 approach. I am looking forward to giving this a go. In it for the long term. I am in my second week of 5:2. I am feeling very despondent. I lost 4lbs on my first week but this morning (a week later) I found I had gained 3lbs! However I have worked out why – I was adding vegetable juices on fast days which took my calorie intake up to about 700. In addition I was overcompensating on the feast days. I have two stone to loose as I am currently 13stone 10lbs and have a bmi of 29. I am going to carry on but am going to be more careful about my calorie intake on faast days. I’m also going to carry on wearing my pedometer every day (my exercise levels are actually pretty good)and am now going to keep a food diary to check my consumption on normal days. I am going to try alternative dqay fasting for a week but am not sure i can manage it as fasting actually makes me very tired and low in energy the next day. What are people’s opinions on weighing every day? would it help or is it obsessing? I do weigh each morning but I have one day of the week which is the official weigh in day. That way I don’t worry so much about the usual ups and downs. Good luck with the fasting every other day. I will be interested to hear how that goes. I suspect that you will get used to it. You will probably need to trial it for a couple of weeks to get an idea how you can manage it. Keep walking and moving, it can only be good. I am starting my second fasting day today. Feeling confident after managing the first fasting day. I like the Monday and Thursday fasting schedule because Monday is after the weekend when I have generally eaten more than in a weekday and by the time I get to Thursday, I am ready to get back to the fasting. Second fasting day complete! No weight loss yet but some reduction of waist line. Next fast on Thursday. I had first heard about the 5:2 diet on NPR, and then my husband and I got the CD and listen on our drive to and from work. It sounded very do able and could work with our life style. Listening to the end of that CD, made it sound so easy, it hasn’t been for me. My first fast day was Feb 25, 2014. Yesterday was my 3rd fasting day, so I am into my 2nd fasting week. Last night I told my husband I don’t know if I can do this fasting, I had a headache and all three fast days have been real hard for me. I drank lots of water and tried to stay busy. Today I am rethinking that statement, I slept so good! 🙂 🙂 When I got on the scale today it said 158 pound! I am a 47 year old working Mom, I started dieting Decmember 11, 2013. I had got on the scale that morning and it said 174 pounds. I had got down to 160-162, before I started the 5:2 diet, but I had been stuck at that 160-162 weight for 3 weeks, until I started the 5:2. I am really hoping it does get eaiser each week, because I think this is the right life change for me. Just signed up and am now up and running. I am 61 years old, 161 cm high and have been heavy on and off for 15 years. Started my first fast yesterday, no probs. I consumed 174 calories (wasn’t hungry for any more) and am planning to keep my off-fast days below my recommended 1300 cals. I am also planning (2 days done already) to combine the fast diet with the 20 seconds-of-pain method (20 seconds high intensity training per day) as described by the Mosleys. I am hoping to get a double advantage. My weight is 74.5 kg (that is 164 lbs or eeekk!! 11.73 stone – I have never converted that before, bit of a shock) and since my son is getting married in Oslo at the end of July, my goal is 65 kg, which is still 1.5 stone heavier than from my younger days, but I will accept any reduction at this stage. This is a last ditch attempt to get the fat off, and keep it off. I have tried every diet plan known to western man… Montignac (precursor to Atkins), low-carb, high-protein, Bailine, South Beach, Caveman, Danish Rikshospitalets diet — aka the protein diet from hell — grethe roede, weight watchers, soup diet, nutrilett bars, eurodiet, fedon diet, fat blasters, etc. Ok that should do. All gave some reduction, some with very good results so long as you kept to the diet. The problem is that when the plan ends, the kilos come creeping back on. My goal is to lose at least a kilo per week (about 2 lbs) by keeping strictly to my calorie counter at 1300 calories (divided into carbs 50-60%, protein 10-20% and fat 25-35%) per day for 5 days, max 325 calories for two days each week, minimum 20 minutes medium walking intensity each day + 20 seconds high intensity. That is the plan and it is a plan that is flexible enough to be able to continue with the rest of my lighter life. We will see how it goes. Good luck all. Yep – nother newbie here. I’m half way through first day of fasting. I have had a couple of anxiety moments about not ever ever getting fed again – apart from that I seem to be OK. Virgin territory this empty lark. Onward. Hello everyone on the 5.2 I started this diet last year bur fell off the wagon at Christmas and put all my weight back on again. I have a big birthday coming up next month and would really like to be a little slimmer by then. I am determined to start again on Monday but does any one else find the afternoons about 4pm!! A bad time I really want chocolate or something sweet and find myself giving in.i have got the recipe books and have cooked a few meals just so want this to work.anyone got any ideas to help me persivere. I am just started this week and on day two of fasting, so I joined the forum to keep me away from the cupboard. I also thought today after 4 I was looking for something sweet. A We tip is to tell yourself its only one day and you can have the Chocolate tomorrow and when tomorrow comes hopefully you won’t feel like it. I’ve been doing 5:2 for 2 months and have lost 1/2 a stone. It’s fantastic! To all the people starting, stick with it, it’s worth it! My tips would be to drink loads of water, and also green tea to substitute normal tea or coffee – you can save lots of calories this way. I find having a small snack lunch time, then a ‘proper meal’ in the evening works best for me, but everyone will be different! 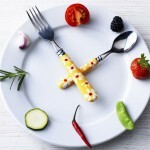 It is true – fasting does become a way of life and I really look forward to fast days! I like the feeling my body gets from having a break from food and I have loads of energy. I don’t even get particularly hungry. I don’t eat at all in the day because I have always found that once I eat something it just triggers more hunger (and I never eat breakfast anyway). I allow myself about 100 calories in the day because I have milk in tea and coffee but that still leaves me 400 for dinner in the evening. I use the Fast Diet recipe book and it’s brilliant! I love cooking anyway but the dishes are really tasty and if they’re not the full 400, I just load up on extra lemon dressed salad or even maybe half an avocado or a dash of olive oil – whatever I can allow for. I have lost 9lbs since the new year and my skirts and trousers are all loose so feeling pretty pleased! Well goodnight, another successful fast day done for me. Yippeee what will I have for breakfast tomorrow. mmmmmmmmmmmmmm I wonder. Thanks for the company newbies.